Aviation and aerospace are complex, high-tech industries rooted in education and the pursuit of excellence. Canada’s flight schools, training colleges and universities are the essential pivot between raw talent and enthusiasm, and tomorrow’s pilots, technicians and air transport and aerospace leaders. It’s a huge responsibility, ensuring there is a school and classroom for every job, and a job for every school to keep the pipeline flowing with exciting new talent. Canada is home to the world’s fifth largest aerospace industry, and is supported by a dynamic air transport sector. How big is that? The Aerospace Industries Association of Canada (AIAC) reports the sector employs about 87,000 Canadians and generates $27 billion in revenues each year in aerospace manufacturing and MRO activities. Recent surveys suggest about 15,000 pilots and flight engineers. There are skill shortages popping up everywhere, meaning there are job opportunities for qualified new graduates in almost all sectors. “Educational outreach and career pipeline programs will be essential to inspiring the next generation of pilots, technicians and cabin crew,” Boeing concludes in its 2017 Pilot & Technician Outlook, a respected industry forecast of personnel demand in the global air transport sector. “As personnel demand increases over the next two decades, the aviation industry will need to find innovative solutions to keep pace with training requirements.” Boeing projects global demand for two million commercial airling pilots, maintenance technicians and cabin crew between now and 2036: 637,000 pilots, 648,000 technicians and 839,000 cabin crew. There’s no field with more opportunity. And while a shortage of pilots tends to grab the headlines, the story runs much deeper. Up to 800 engineers are reported to retire every year between now and 2024, according to Canadian Business, while the rate of new hires is expected to outpace retirements as demand for Canadian aerospace products grows. And not just among large companies such as Bombardier, Pratt & Whitney Canada and Boeing – but also medium and small high-tech firms that feed the global supply chain. 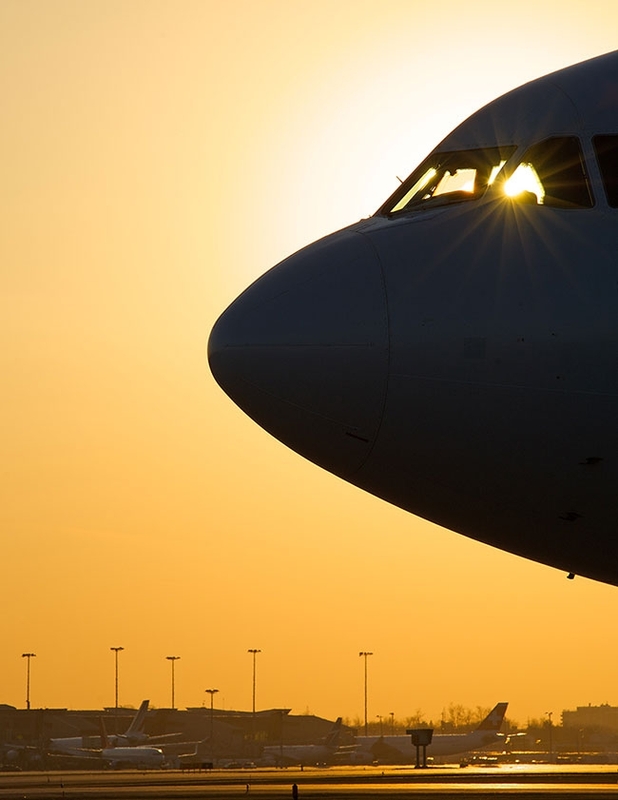 According to the Aerospace Industries Association of Canada (AIAC), the share of supply chain exports stamped “made in Canada” increased by 20 per cent over the last 15 years, and now accounts for more than 60 per cent of Canadian aerospace product exports. Canada’s academic infrastructure appears ready to meet the challenge of feeding the Canadian aerospace and air transport sector’s appetite for innovative and new graduates with full-time, part-time and learn-at-your-own-pace courses, and opportunities to upgrade academic skills such as partnerships between flight schools and flight colleges. Major industry players are helping academia develop course curriculum, and mentoring programs are springing up between operators, colleges, universities and flight schools to provide mentorship and career pathways for aspiring pilots. Still, the learning experience should not be limited to the walls and runways of flight schools and academia, especially in the early days when a student is considering career options in aviation. But a learning experience should not be limited to the walls and runways of academia, especially in the early days when a student is setting a career course. There are many industry associations in Canada ready to help you make career choices, and many enthusiastic people in this industry who enjoy sharing their experiences. The 2018 edition of Wings and Helicopters Careers in Aviation (CIA) guide is an introduction to a variety of careers in aviation and aerospace. It provides listings, helpful tips for choosing a flight school, and sets expectations for new graduates breaking into the industry. Whether you are looking to fly fixed-wing airplanes or helicopters. Launch a career in the sky with an airline or corporate operator, or keep your feet planted firmly on the ground in manufacturing and maintenance or industry support, this is an invaluable starting point. To learn more about careers in the aviation and aerospace industry, check out the Jan./Feb. issue of Wings.